Here are some images generated from my BMVC 2007 paper. 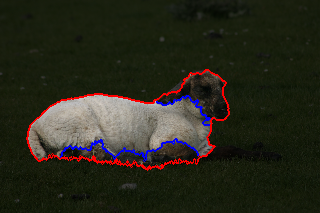 The first image shows three adjacent segments that a merged together to provide spatial support for a sheep. 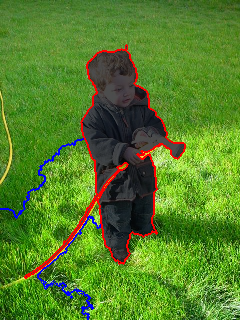 This image shows a grass region (not the boy) being composed of three regions. I am making a project webpage which will shows results on the MSRC 23 Object Class dataset.